When you first use the ProfileLite Nasal Mask, a simple and easy 10-minute fitting process molds the mask to your facial contours to create a customized, individualized foam seal that fits your face and only your face. AS YOU CHANGE OVER TIME, SO CAN YOUR MASK! As you change over time (of if you just want to refine the fit of your mask) you can repeat the fitting process as many times as you'd like to remold the mask and make it perfect for your face. With it's personalized adjustable seal the Profile Lite's means a better fit for your mask and a better night's sleep for you. Respironics Deluxe Headgear with Velcro tabs easily adjusts in eight places for a secure, custom fit. It evenly distributes tension, adds stability and helps prevent mask leaks. This mask is available in 7 sizes -- Petite, Small, MediumSmall, Medium, MediumWide, Large, and Large Narrow -- to fit a wide range of face shapes and sizes. Please note the Youth ProfileLite has a slightly different overall mask design to better fit smaller faces. Ordered the right cpap mask by number but came smaller than ordered. Called and they said size I ordered was not available so they sent next size down. Would rather not get anything than wrong size and now have to return it. I was so happy to find my mask at your site. I thought I had lost Direct home medicals information and was searching all over the net for my masks. Then while cleaning out my emails I found an old order and to my surprise you HAD MY MASK!!!! I was so happy and screech in happiness!!!! Thank you for your fast and complete service. I have save the information so I know just where to go to reorder my masks. Hunted high and low for Profile lite masks. Great price too. It is hard to find this particular mask anymore I'm glad you carry it. But having to pay out of pocket instead of my insurance is tough. Most comfortable mask out there but sometimes leaks around the edges if it's not snug enough. My ONLY go to Store! Always in stock, great prices, even better customer service!!!! Bought 6 of these masks as they are being discontinued. I have used this mask since 2004. Very sorry to see it go away. Direct Home Medical is great. THE ONLY MASK I WILL WEAR!!! I absolutely love the profile lite cpap mask. I have used these for years and they fit me well and are comfortable. What more could you ask of a CPAP mask? The price is reasonable as well. Using the sites measuring technique provided an excellent fit. Prior masks from elsewhere had been ordered, unknowingly, in the wrong size. Very happy with the mask quality, performance and the fit. I love it. I breath better and no more air leakage. The straps still pull at my hair because of the velcro. I struggle to find ways to be more comfortable. Im very sensitive. Im going to order two more if still in stock. It looks like they are not making any more of that type of face cushions. Other brands too flimsy and hurts my skin. I ordered the WIDE and should have been the standard. Pleased with price and equipment except my mistake of ordering the WIDE. This mask was discontinued by the company that makes them they were the perfect mask for me. I was very happy to see Direct Home Medical still had a supply. I've tried new models but none work like this one. Petite size still too large. Headgear cumbersome. For my face, this mask provides a good tight seal and is comfortable. No risk free trial, should've been a red flag. 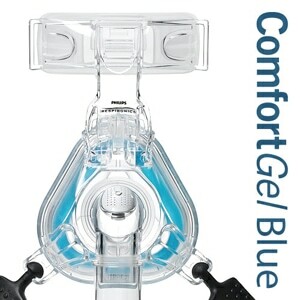 I ordered this as the Respironics Comfort classic (my most favorite mask EVER!) was discontinued. The heavy duty thick blue gel part was to clumpy on my cheeks and the gel spongy forehead thing way leaving lines on my forehead. I failed to notice no "risk free trial" was included so I purchased this and gave it about 3 days before I wanted to return it, but realizing no return is possible. I ended grabbing some scissors to cut into the blue gel to alleviate some of the pressure on my face, while being careful not to damage it bad enough that it wont seal. After 2 months t's falling apart now, so now i'm gonna take the plunge for the well reviewed air fit p10. Wish me luck! Excellent mask, have had to use other makers since Respironic's quit making the Profile Lite Gel mask. Those were no where near as good as the Respironic mask. I used to get my masks through the Veterans Affairs hospital in Lexington Ky. I would call them requesting a new mask, they would call respironics who sent me the masks. Always good, then instead of the usual Profile lite Gel mask, they sent me the Wisp mask. No way could I get it to work for me beside being uncomfortable I sleep on my left side then turn to the right then left again. The wisp would not stay put with my movements, it might be ok for someone that sleeps on their back and does not move around. Direct Home Medical is great! 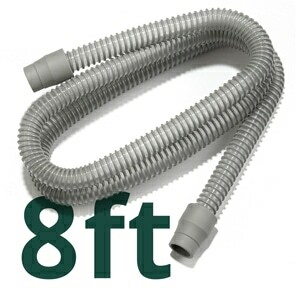 Easy to use quick delivery, great, and I will recommend them to others needing CPAP items. This is the ONLY mask that I have found that fits my Asian nose/face! Wish it wasn't discontinued. Seams like a nice piece, but I wish sizing was more consistent. I use a small in comfort classic this one is medium and way too small. This is the only mask that works for me. I have tried so many and different types but this one is the most comfortable. I hope it's never discontinued. I don't know what I would do. Great mask, but the sizing is confusing. I thought I had been using medium for years, but it seems smaller now. The head gear was a little confussing to put on with no directions. Different then my others. Could not get it have a good seal. Was not comfortable. Since they discontinued the Medium, I ordered the Medium wide. It didn't work, I had to order a different model mask. It works fine. The fit and comfort are very satisfying. The mask was shipped in a very timely manner. I feel was due to a very caring, customer oriented and professional individual who took my order. Thank you DirectHome Medical. This mask is perfect for me. In fact, I've ordered replacements several times. It's very easy to adjust, and fits my face perfectly. Direct Home Medical has always had the best price, and their service is super fast. I will continue to be a repeat customer. Sadly I wanted to go back to the over the nose mask. But I found that it had to be very tight on my head to get a good fit. It gave me a headache, and I realized I needed to stick with the nasal pillow masks. I did order another nasal mask, and was helped by one of your online people. She was very helpful, and I was pleased with out quickly things were taken care of. I ordered the subject mask and received it on time. It's everything I hoped for. I appreciate the feedback and support I received from DHM's customer service staff; they are extremely friendly and helpful. Thanks! Directhomemedical.com had the product that I was looking for and I was happy with the price and timely delivery. I will return to to Directhomemedical.com again when I need CPAP supplies. This device requires a fitting to determine the correct size...simple directions are given then size will supposedly be a fit. I thought it strange my size determined was a small/medium, but trusted the site to be right. as it worked out the size was very small. I love this product. The gel keeps the mask from irritating my skin. I love the comfort. Worth the price. I had such high hopes for this mask as it was able to be adapted to your face but for the two nights I tried to use this nasal mask, it didn't work out at all for me. I would say it was way too big. I had measured using the paper templates and had the size but when I went to order, there was not listing for that size. I chatted with the folks there and they thought the large mask would be the appropriate one and which I would have assumed they would have been correct. Well, the mask was I think way too big. I just bunched up on my upper nose and brow. I tried it without molding it and with molding it but all I got was a big sore between the eyebrows. It is just now, 2 weeks later that it is healing up. Don't think I was allergic to it since I didn't break out anywhere else, just think too bunched up there and rubbed the sore. And this was not from the part that went on my forehead. The reviews are mostly good for everyone and I have tried enough masks to know some work for you and some don't and this one for me was a don't work. Love it. Have used this type of mask for cpap since 1998. Love the gel!! This mask was the same as I was using and the health care wanted over 200 dollars for. I will order here again. 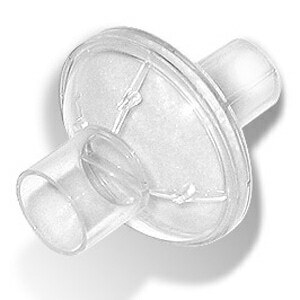 My regular supplier for my CPAP said that the PROFILELITE GEL NASAL MASK had been discontinued. They recommended a new mask that was similar. It was as similar as a VW Bug and a Cadillac Escalade. After the 2nd night I had a cut on the bridge of my nose. I quickly found the PROFILELITE at Direct Home MEDICAL. They said to have plenty in stock. I have been using this mask for some 30 years. I have been using this mask for over 10 years. I have not found any other that gives the seal it gives and it's the most comfortable one out there as far as I'm concerned. Did not work from day one. Huge air leakage problem. For a few minutes, i was ok. The tip of the mask was hurting my skin, and caused an irritation. The problem is that the mask has to be tight, or the machine start beeping for air lost. Every time I use the nose device it hurts the top of my nose. Maybe I am allergic to the material it is made of. The full mask does not hurt me, because it is tight with my forehead. I could not use product. I appreciate the softer, thicker, more comfortable gel which makes for a snug fit but I wish the straps detached like on other masks. As they don't, it's hard to get them to fit snugly. Mask is much more comfortable than mask that came with CPAC Machine. It's the same cpap mask I've used for years, just as effective for me, my face, my health. Not looking for any 'advances' or 'upgrades' in this product, since from my perspective it could hardly work better for me. Would like a different way to use straps. I do not like the elastic straps. 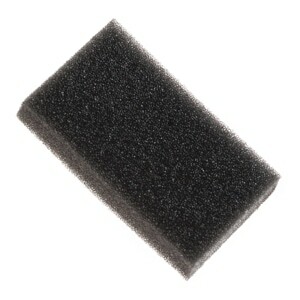 They must be loosened to allow going over the head and the velcro will eventually get worn out. Great pricing for the product, quick delivery and excellent packaging. Will go here in the future for my CPAP needs. This is the best mask on the market. I have been using CPAC mask for over ten years, and this mask beats the rest hands down, for comfort and easy to use. Excellent product. It was a pleasure doing business with you. The air vent where the 90 angle plastic connects to the transition piece makes way too much noise - a high pitched hissing sound. I set it aside as a spare and will use it only as a last resort. I've had previous masks just like this one with no problems. Too much hassle to return. This mask leaves a bruise on the bridge on my nose and it hurts in the morning. I do not like the mask at all and will be changing it once I can get a better mask. Really not happy with this, digs into the bridge of my nose and can't pull the jell portion off to put into old head gear, air escapes from every side of the mask, can't not put on tight enough to not leak and not dig into my face. It places quite a bit of pressure on the bridge of my nose. There is no articulation like the older model. It is also harder to clean than the unit that can be broken down. I order this and I do not like the way it fits. It has no flex to it. The mask just poorly made. ProfileLite Gel Nasal CPAP Mask Pack with Headgear fits well, seal well, and feels very comfortable. With it I get a good night's sleep. This seemed like a good idea but the blue gel piece that goes against your for-head rubbed a blister on my for-head. I would not buy this item again. I've had this same mask for many years. When they are new, they work great! Got a great price at this website. No hassles and no BS. The quality and price are excellent, the prices are the most reasonable, and I received the order fast. I will order again when the products need to be replaced. I have needed a new mask for quite a long time and was very happy that I was able to purchase this for such a great price. It is the same one I have been using for a few years and the most comfortable one I have had. Great product Nd service. Got the product quickly. This item provides ample space around the nose area without pinching (get the large size) and does a fine job for its purpose. The new inclusion of velcro straps to secure the mask is a vast improvement from the ball-in-a-notch fasteners. Highly recommend. My medium in my old mask was a bit large so I ordered a small in this one; unfortunately it is TOO small. Now I know to order a larger one. I like the way it is made and the narrower headgear. My resprionics blue gel mask came with in five days of ordering it. It was packaged nicely and included excellent instructions. I did notice that the straps of the head gear were more narrow than the straps on my old one which I found to be uncomfortable. I just continue to use the old straps. I hope they fix that soon. I ordered my mask and got it quickly. The mask itself is comfortable, with included headgear, makes it easy to wear. The new headgear is slightly elastic, so once it's set, you don't need to change the fit, just slides over you head. Very nice! I had used this mask before. But this one is very uncomfortable. I have used it one night and in the middle of the night I had to go back to my old one. This is the best mask I've used in terms of dealing with air leaking up into my eyes, but I haven't figured out how to adjust it to keep it from making the bridge of my nose super-red and irritated. I am very pleased to get this mask again. The fit and comfort is very good...no leaks. And the price is great! I have used this particular mask for about 5 years now .... I would not use any other! The gel creats for a fit and comfort I have not been able to find in other masks. The quality & durability have been very good .... I end up using mine for 6-9 months before I switch out for a new one. Direct Home Medical (D.H.M.) was superior with communications and delivery. They know that when an item is ordered there may be a a sense of urgency by the customer. I feel D.H.M.takes this into consideration and delivers the item quickly and descreetly. Thank you so much D.H.M. The mask and head gear is top notch. Very nice and works great! The price was Fantastic. Wish we had know of this company years ago!! Thanks! The product is very comfortable and easy to adjust to wearing; however, drawback is that it only lasts about 9-12 months before needing to be replaced. It develops leaks and it makes it much harder to sleep with when the mask is leaking air. delivery was quick and the items arrived in great shape. will order again. This was my first purchase with Direct Home Medical and I am delighted with the results. The mask fits perfectly and was a great deal. It arrived much quicker than I expected and my entire experience with the purchase process and the product was great. I will definitely buy my masks and other equipment from Direct Home Medical. Correct and speedy delivery service! I had found this company online that sold my c-pap mack and I called them instead of ordering online. It was on sale which they never are at the store and even the shipping through usps was half off and it actually came the very next day on a Saturday! The mask was correct and everything came as it should in the package. I am very impressed with this company and getting it here as fast as it did! I will order from them again when the time comes for a new mask. I have received my nasal mask & head gear no problems with your product. I would and am going to procure an extra forehead pc,& another head gear assembely. The product worked well for about two months, however the part that sets on the foreheard came loose regularly and eventually broke and I had to glue it to make it functional. I then purchased another one through your company, hoping that it will not be a continual issue. Have used the mask for 4 nites, the top gel piece has already started seeping gel goo. So it no longer pads the area. Very diasappointed.